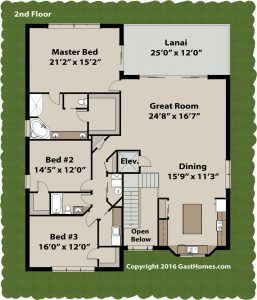 If you’re looking for waterfront house plans look no further. 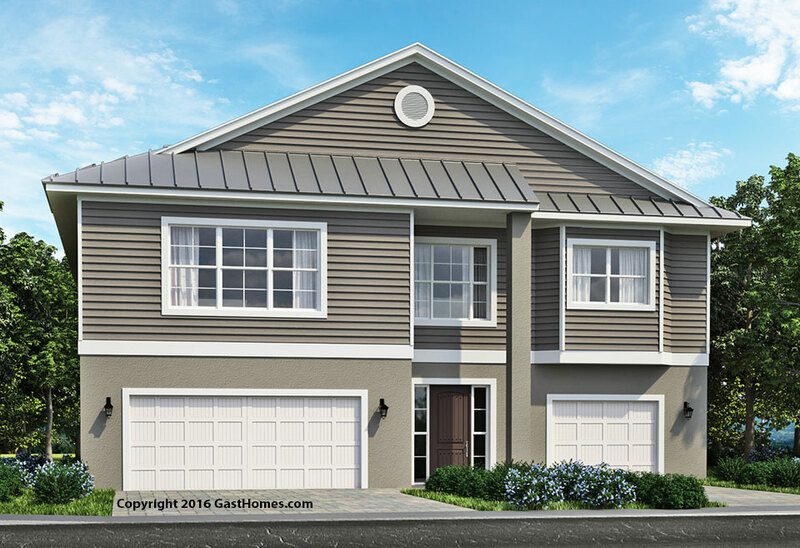 Sea Breeze plan is a popular three bedroom two bath single level living home. First off, the 1st floor includes five car garage, outdoor living and ground level entry. Furthermore, the 2nd floor living level offers great views from the main entertaining area. With the oversized kitchen you'll have plenty of room to serve great social events. 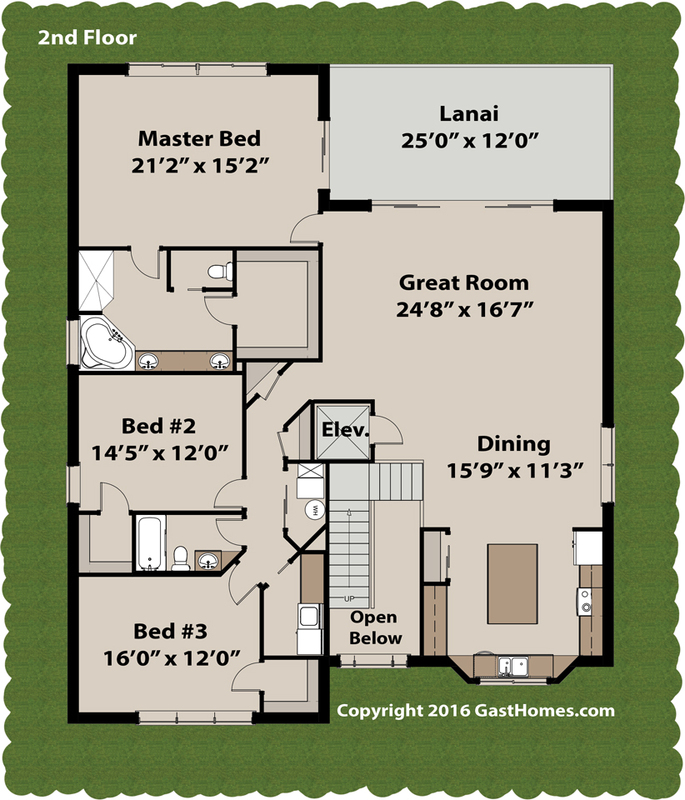 The three bedrooms boast huge sizes that allow for ample bedroom furniture with room to spare. Although we have many waterfront house plans, the Sea Breeze is often asked about the most. 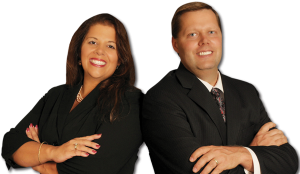 Don't delay, give us a call and let's get your dream home started. 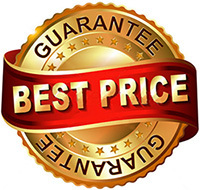 Make sure to use our patented online pricing and option tools. 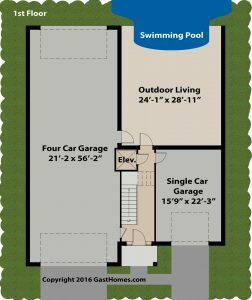 Like most of our waterfront house plans the first level gives you option to build a swimming pool partially under the home in the outdoor living area. Image enjoying outside living in a semi private area away from wind, sun, rain and noisy neighbors or boaters. Furthermore, another popular option is the elevator. 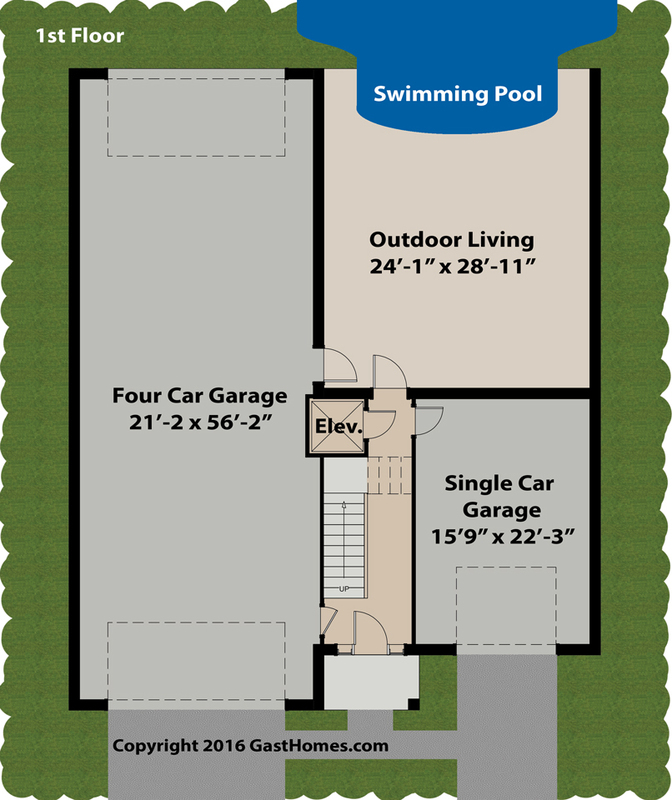 Our Elevator options start with the design space stacked on every floor that could be either a closest with future options or install during initial build. For hundreds of more options and a complete selection of waterfront house plans, explore our award winning website. Each of our home designs start with exterior walls being 11' thick ICF's. ICF's homes long name is Insulating Concrete Forms, which consist of foam insulating and solid concrete walls three times stronger then block. 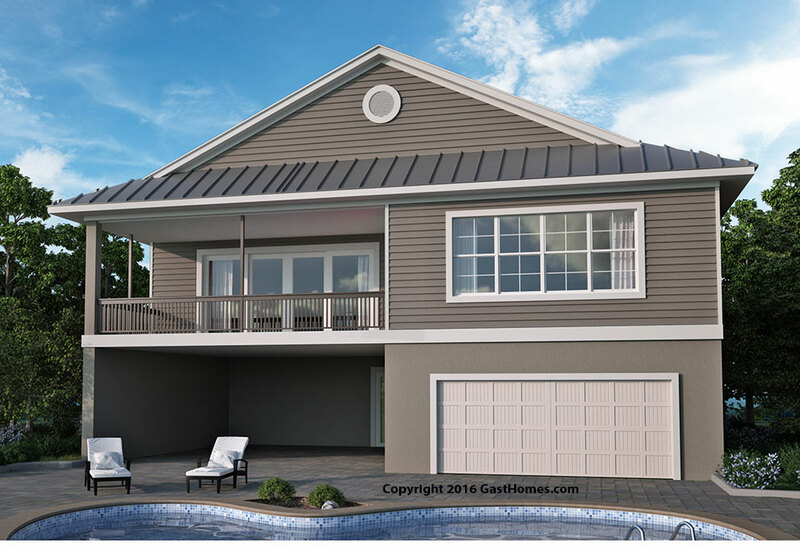 All of our waterfront house plans are designed with upgrades like 12 inch soffit with optional upgraded iso foam on the underside of roof sheathing, allowing less wind uplift in hurricanes. 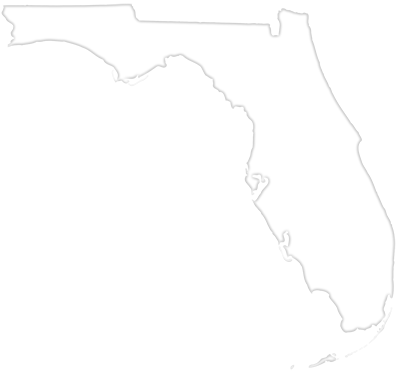 Our owner is a certified Building Performance Institute Quality Control Inspector for the Department of Energy. Therefore, with such specific credentials you’re sure to get a super energy efficient home.